Ergonomically designed with your health in mind, the Ergolux Lite Height Adjustable Sit Stand Desk Riser sits on top of your existing desk and can be raised or lowered in seconds. 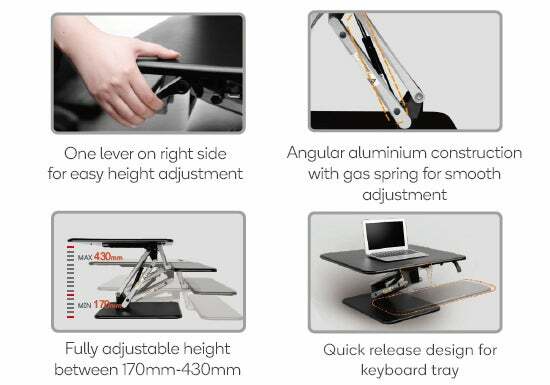 Even easier to move up and down – transition to your desired height with only one lever! 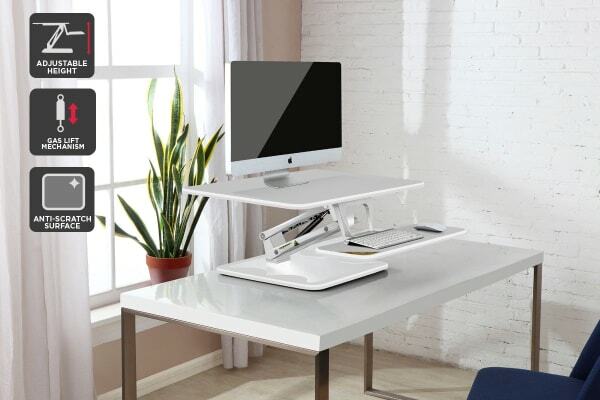 With the Kogan Sit to Stand Desk Riser you can get your work done without impacting your wellbeing. 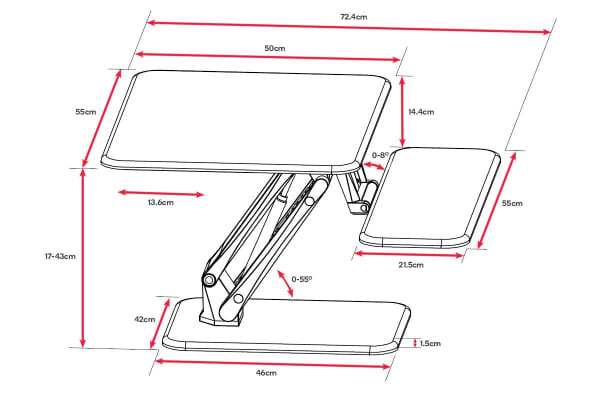 The Kogan Height Adjustable Standing Desk Riser sits on top of your existing desk, and the flat surface has plenty of room for your monitor, keyboard, mouse, notepad, phone and more. 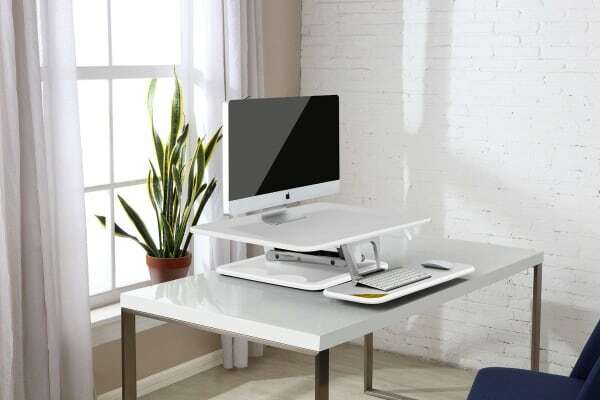 The gas lift mechanism lets you raise and lower your desk in seconds with almost no effort and the wider height adjustment lets you find the perfect level for you, making the transition from sitting to standing a breeze.